Reducing risks, streamlining operations, and cutting costs are goals that all companies, public and private alike, have in common. But today, rather than seeing procurement solely as a transactional business function, more companies are realizing the inherent value in procurement serving as a versatile and dependent ally to the compliance department. 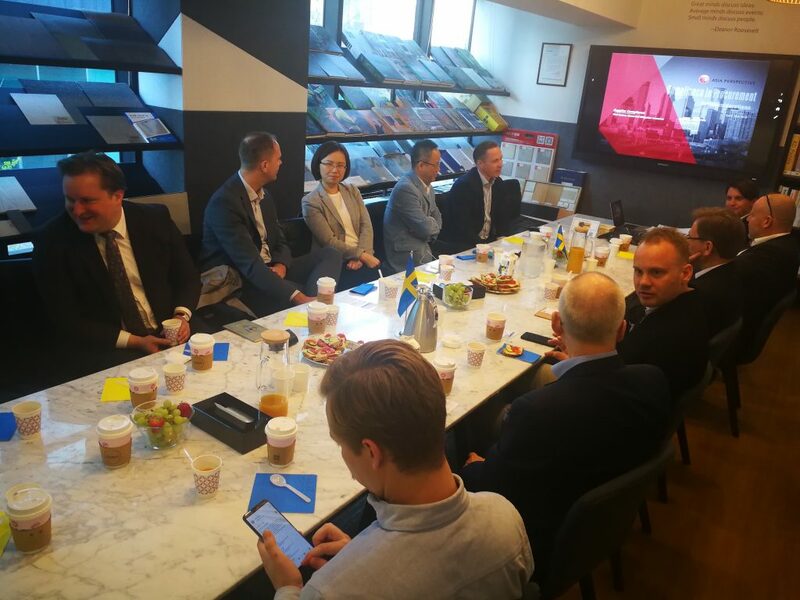 Yesterday the Nordic chambers jointly hosted a breakfast seminar with Sami Lindström and Alexander Ocieczek from Asia Perspective to share key considerations of an efficient corporate compliance program, and what should be borne in mind when procuring from Chinese companies. When doing business in China, Foreign companies encounter local perspectives and assumptions that make adherence to corporate compliance programs an ever evolving and challenging effort. Because of a highly competitive and culturally different operating environment, ensuring adherence to corporate ethics and compliance policies remains a key concern and challenge for European companies purchasing from China. 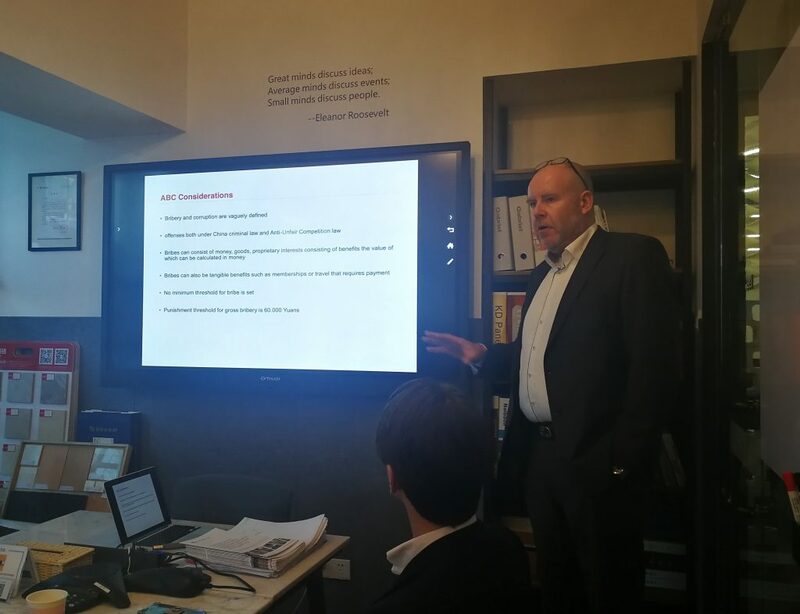 “Continuous monitoring is key” – said Sami Lindström during the seminar, and stressed the importance of establishing relations to suppliers, subcontractors. before the purchase. “It is important to know who they are, their location and what it is that they do for their remuneration, so that you are aware of each of the elements of their supply chain“. Sami also pointed out the need to review suppliers’ processes to make sure that each supplier can ensure product or service quality and safety and ensure that appropriate policies, procedures and whistleblowing processes are in place and, suggested that if these processes was not yet in place, one should collaborate with suppliers to develop them. 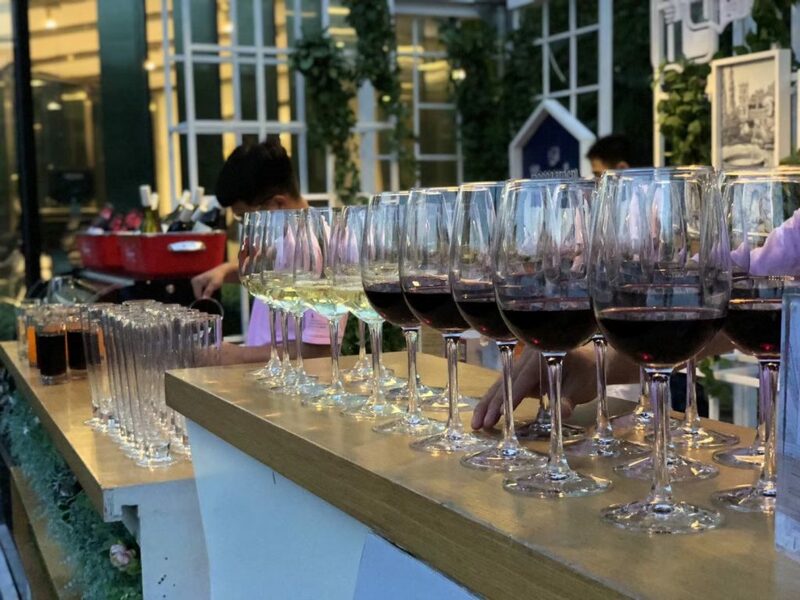 BJ: Last Friday 50+ guests joined our Swedish Afterwork together with our new Dragon Partner Volvo Group at Volvo Group’s favourite after work spot, Pudao wine bar in Beijing. Claes Svedberg, President of Volvo (China) Investment Co., Ltd and member of the Beijing Chapter, initiated with welcoming all the guests and talked about Volvo Group’s 20 years in China. Today Volvo Group is one of the world’s leading manufacturers of medium and heavy-duty trucks, buses, construction equipment and marine and industrial engines. 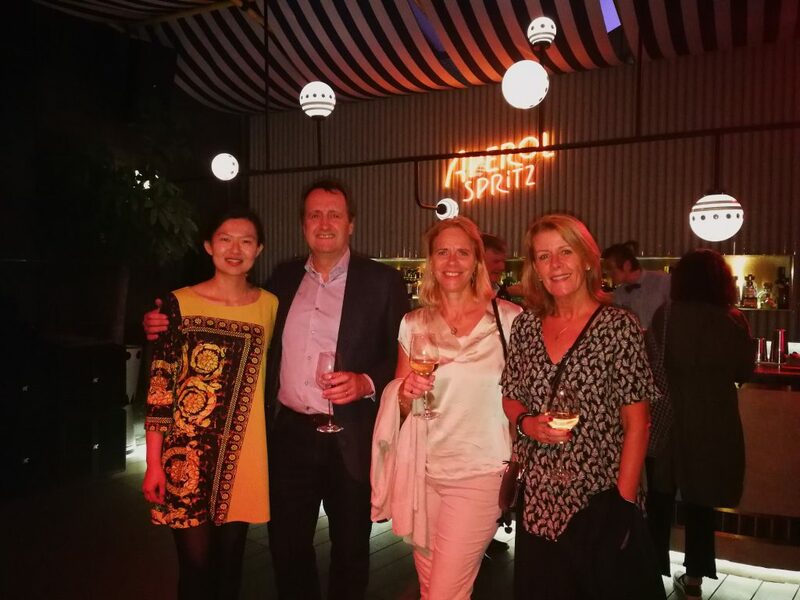 During the Swedish Afterwork we also had the opportunity to wish a fond farewell to Claes Svedberg, who will leave his position in Beijing in March for a new assignment in Singapore. In becoming one of SwedCham’s Dragon Partners, Volvo Group joins Atlas Copco, Handelsbanken, Mannheimer Swartling, Syntronics and Volvo Cars. 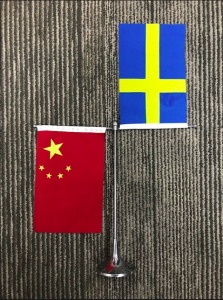 Dragon Partners are important contributors to SwedCham’s ability to serve its members, and by extension a great support for the Swedish business life in China. BJ: Digitalization is no longer a matter for the IT department only. Business leaders of today need to understand the trends and impact of digitalisation, identify digital drivers that will bring the most value to their business and set a digital agenda prioritizing initiatives going forward. Still, 70 % of Swedish organisations have not yet adapted IoT. 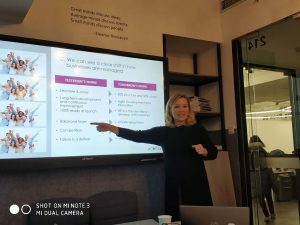 In order to get more informed we invited Karoliina Callavik, co-founder of Cobel Sweden, a consultancy supporting companies in digital transformation to share intel on current trends and best practice. Everything starts from the customer. Today everyone talks about “customer centric” business instead of “customer focused” business. The customer today is well informed and has an advantage over the business. Keeping track of the “Customer Journey” is a hygiene factor. The digital focus of the management is the starting point for the digital change journey. Management is responsible for adapting the overall strategy to the digital reality, to ensure that the business changes in pace with outside development and to develop the organization’s digital skills with related IT infrastructure and management. It is crucial to understand the rapid development of the world and to work actively with idea management, innovation and agile development. Creating new business and delivery models using digital technology is the new way forward. Since the release of WeChat in January 2011 the number of active user accounts now exceed 1.06 billion private accounts and 14 million corporate accounts (as of Q2, 2018). With 902 million daily users who spend on average 40+ minutes in the app, WeChat marketing offers a powerful way to interact and engage with the Chinese consumer. But how to use WeChat in the best way for your business? 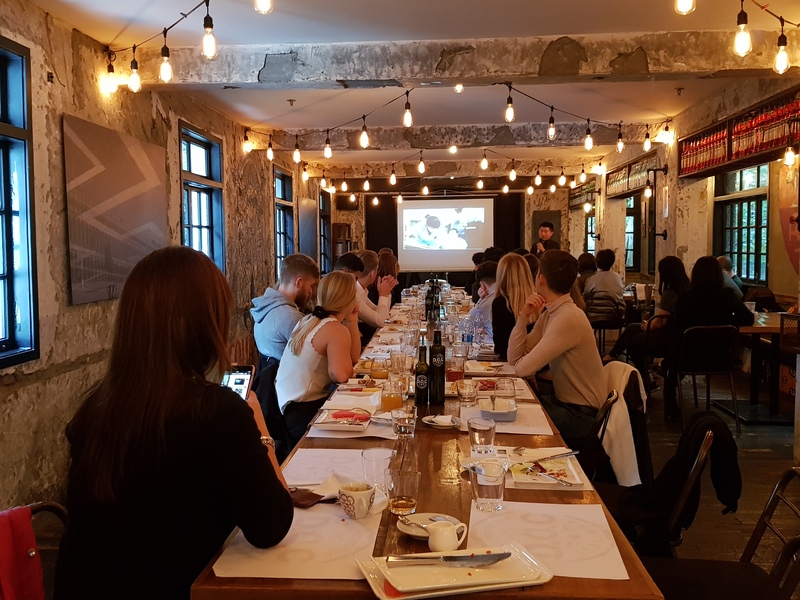 We invited Johan Olausson from Bamboo Consulting for a workshop in Beijing to give us an update on how to optimise your WeChat content, the best tools for segmentation and lead generation and recent trends within WeChat marketing. “The most efficient way of WeChat Promotion is Offline to Online, both in terms of impact and cost-efficiency. 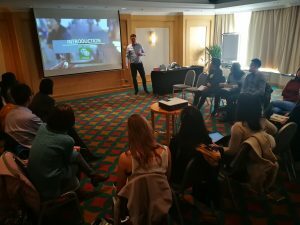 The key is to promote events on WeChat and build a buzz, so it is important to always remember to put your WeChat QR code on roll-ups and event collateral“, said Olausson during the workshop. Using Influencers or KOLs in China is common practice, especially within B2C and products within lifestyle, fashion, beauty etc. But there are a lot of different channels for your WeChat Promotion such as industry associations, interest groups, Government associations etc. Another recommendation is to promote on channels such as Jinri Toutiao (今日头条) which is a popular news and content aggregator, using AI for tailored news feeds. As of June 2018 the app has 268 million daily active users and growing. One trend think that Olausson mentions as growing is the usage of chatbots including; Pre-sales Mini-bots, Welcome-bots, Support-Bots, FAQ-Bots etc. WeChat has had a bot platform since 2013 and it is actually on WeChat where the phenomenon with chat bots started. WeChat bots work by identifying keywords in text strings and using hand-coded rules for how to respond to different situations. Although bots are gradually learning to understand customer requests, they still text back only pre-set responses. Unfortunately, they still cannot give very complex answers to highly specific questions. - Color palette: No more than 3 per post. Keep consistency with Company guidelines and colors in images used in the article. - Images and video:spread images so there is one only on the screen unless you scroll down/up. One video per post, use Tencent QQ Video. - Length of posts: Depends on the content type. Generally longer article like 300-500 CH characters (Up to 400-500 EN words) for technical/professional content. Around 1,000-1,500 CH characters for softer, more general content like people stories. – Articles per post: Aim for 2-3 article, the top article usually gets higher PV compared to the rest. – Post design interfaces: There are different 3rd party layout solutions. 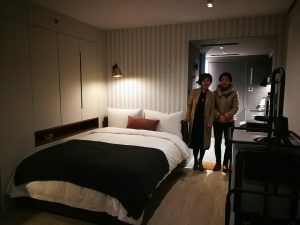 The most user-friendly are 96weixin and Xiumi. 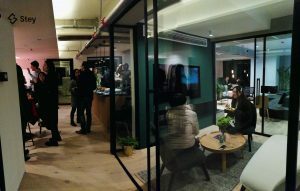 “Together is better” was the key message when Stey, White Peak’s new solution to urban living, opened up their doors for a unique first hand look during the Swedish After Work in Beijing last Friday. 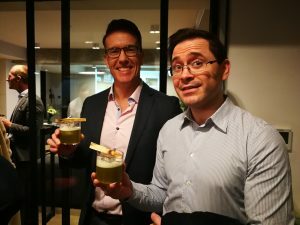 Stey has partnered up with the team behind Singapore’s CreatureS to launch the brand-new gourmet experience “Tease by CreatureS”, and offered tasty bits from their new menu and had two bartenders on site from their “La Bar Atory” who created some of their signature cocktails. 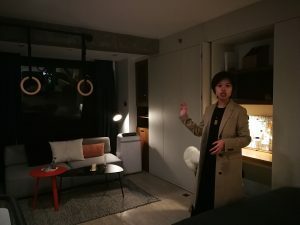 Stey is offering a modern urban professionals a smarter, digitally integrated way of living and provides community-based serviced apartments and aims to make long term renting much more flexible by giving long-term tenants the option to re-rent in their absence. Stey will be launched officially in mid December, and will be open also for non tenants through Tease by CreatureS and La Bar Atory on Stey’s ground level. 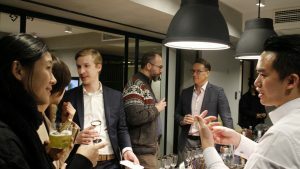 Are you interested in co-organizing the next Swedish After Work with us? Send an e-mail to either Bejing@swedcham.cn or Shanghai@swedcham.cn, and we will get back to you with more information. IKEA is taking bolder actions to address some of the most urgent challenges linked to climate change, unsustainable consumption and inequality. 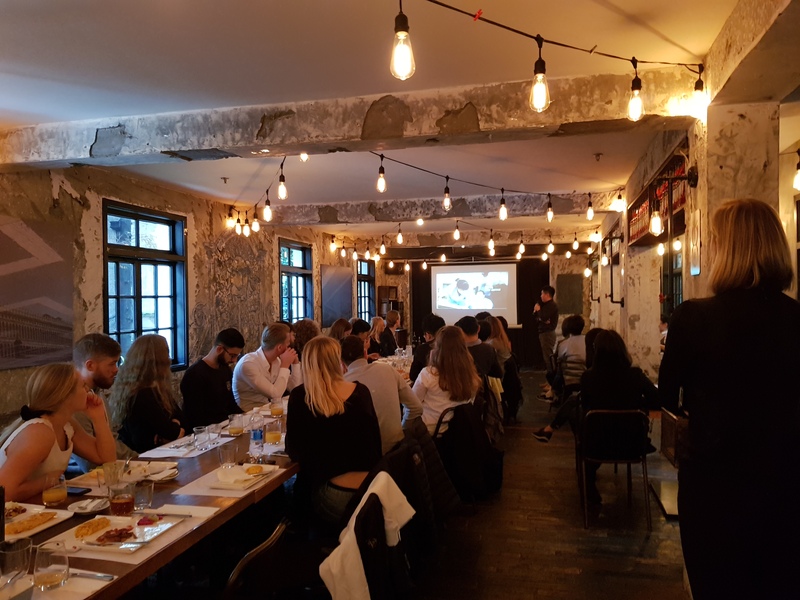 Last week their Sustainability Manager for APAC Distribution Services, Josh Zhou, presented the global IKEA sustainability strategy for a full house at @D.O.C in Shanghai. IKEA will continue to have strong focus on collaboration and co-creation in their “People and Planet Positive”-approach. Their 2030 commitment includes circular services, sustainable living labs, home solar and the roll out of LIVE LAGOM. Fun fact: Did you know that their TOMAT spray bottle is made out of 25 % recycled content of which 10 % is internal waste? @IKEA has a bold ambition – by 2020 all single use plastic products such as straws will be removed from restaurants. Thank you @IKEA for presenting at our event and for helping us raise awareness about our NoPlastic! campaign. Is your company interested to take up the SwedCham NoPlastic! challenge? Click here for more information. 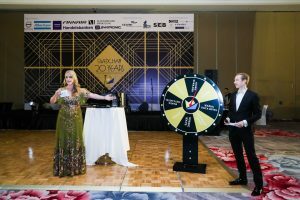 Last Saturday SwedCham celebrated 20 years in business with a Great Gatsby Gala at the Wanda Vista Hotel in Beijing. Since the start in 1998 with only 30 companies, SwedCham has grown into a community and a network, rich of the common expertise of close to 300 companies. Together with 200+ guests, we celebrated the achievements of the past with a exhibition of 20 stars that has contributed a little extra to the Chamber, and a bright future; enabled through the strong, dynamic and rich network, inspiring and close cooperation with other Chambers in the region as well as within the Team Sweden cooperation. 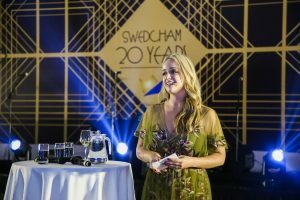 The gala was led by the Swedish journalist and tv-personality Ebba Kleberg Von Sydow, who welcomed the guests and spoke of her impressions of the vibrant Beijing and SwedCham’s accomplishments during the last 20 years. “Only 20 years old?” Ebba stated, comparing SwedCham’s development with Warren Buffets’ who 20 years ago still was a salesman I Omaha, same goes for Hilary Clinton who was about to finish law school and Amazon Founder Jeff Bezos who still was flipping burgers McDonalds. 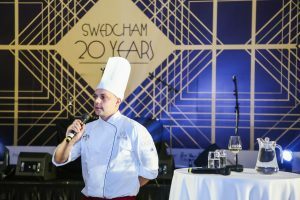 To make the gala night extra special we were also joined by Swedish chef Benny Adler who created an exquisite Swedish Gala menu that was served at the Gala. Benny Adler is currently the head chef at our member company and Purveyor to the Court, Rosers Hotel & Events and has previously been responsible for the menu at the Swedish King’s 70th birthday, as well as the Swedish Pavilion at the Olympic Games in South Korea last winter. 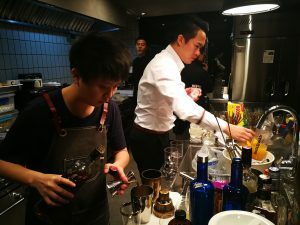 During the evening the guests could also enjoy beer from the Beijing based Swedish micro-brewery Arrow Factory as well as chilled drinks in an Absolute Vodka bar. Birthday wishes and a positive vision for the future of SwedCham and future cooperation was presented from the speakers of the evening; Lars-Åke Severin, Chairman of the Swedish Chamber in China, The Ambassador of Sweden to China and Mongolia, Anna Lindstedt, Kristian Odebjer, Chairman of the Swedish Chamber in Hong Kong, David Hallgren, Trade Commissionaire of Sweden and through a sketch from Mats Harborn, President of the European Chamber of Commerce, together with Tommy Liu and Rolf Gren, founding fathers of the Chamber. Every year the Chamber awards two people who have contributed a little extra to the Chamber. This year Birgitta Ed was awarded with the Chamber’s Honorary Award, and Michelle Qin was awarded as the Young Professional of the year. 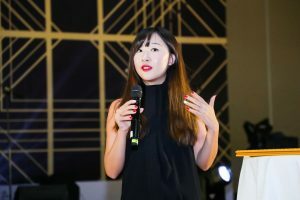 In her speech, Michelle spoke of the digital development that China has gone through and how Swedish brands can be agile and adapt in this fast moving pace. 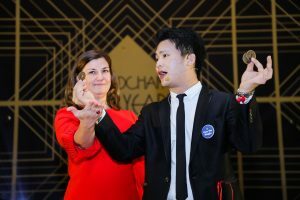 “In only a few weeks, Alibaba will kick off the famous single day’s event and it is only 10 years ago that the mega shopping day phenomena first started“, speaking of the necessity to keep up with current trends and sharing experiences amongst professionals. 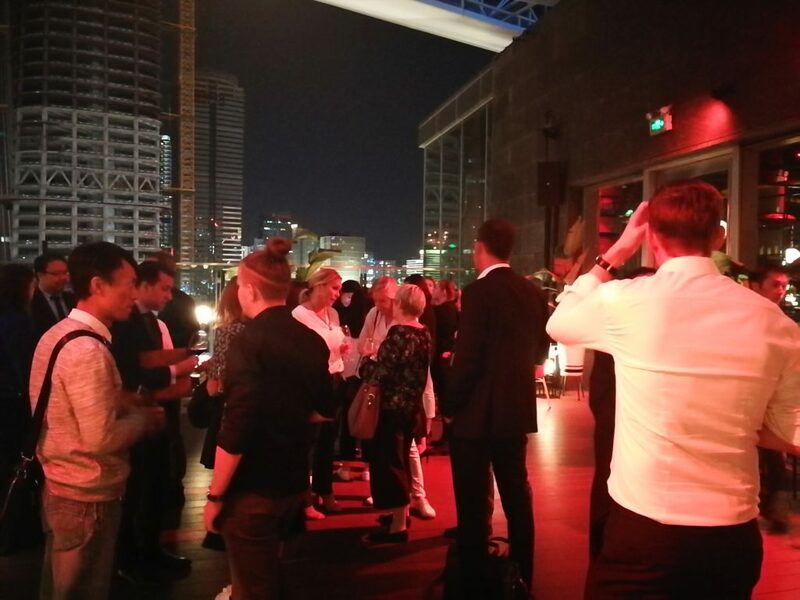 A lot of prestigious entertainment entertained the guests during the gala night; saxophone music during the mingle, close up and stage magic from Rock the magician, a surprise flash mob from award winning Swedish swing dance group the Harlem Hot Shots and Swedish swing and jazz legendries’ Movits! who jazzed it up on the dance floor. During the mingle Rock the magician handed out golden tickets to some guests that had the opportunity to be a part of The Great Gatsby Raffle and win fantastic prices, sponsored by our member companies. Prices included two free participations in the 17th edition of Vasaloppet China sponsored by Nordic Ways and ping pong blades from Stiga Sports signed by legendary J-O Waldner, Kong Linghui, Malong, Xu xin, Fan Zhendong, Ma Long, Chen Meng and Zhu Yuling, limited Edition Karl Lagerfeldt champagne glasses from New Wave Group, free floats at the exquisite spa Floatasian in Shanghai and free hotel nights at Wanda Vista Beijing. 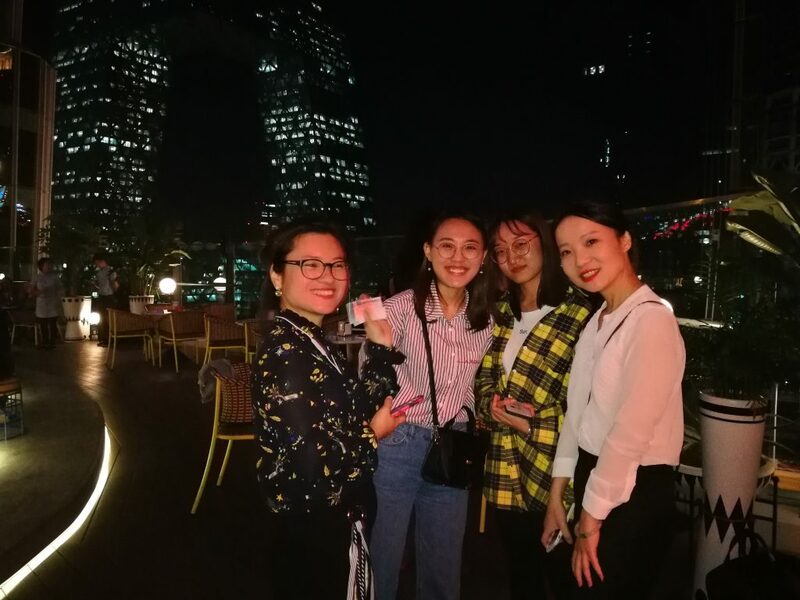 BJ: Last Friday we organised our monthly Swedish After Work together with Ericsson at Migas Mercado’s roof top terrace in Beijing. 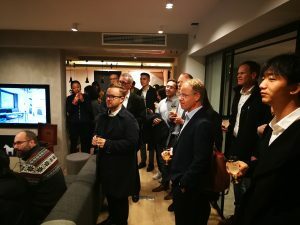 Almost 40 guests listened to Per Hoffman, VP and Head of Legal Affairs, Compliance and Sourcing at Ericsson North East Asia, who gave us an update on how Ericsson is taking 5G out of the lab and into a real-world mobile network environment. 5G promises to deliver very high data speeds, extreme low latency, ultra-high reliability, energy efficiency and extreme device densities, which will be realised by the development of LTE in combination with new radio-access technologies. Click here to read more about Ericsson’s transition from 4G to 5G. Stay tuned for our next Swedish After Work together with White Peak in November. The Swedish After Work in October will be replaced by our upcoming Great Gatsby Gala, when we celebrate 20 years in business on October 20. 1) Even though the company culture may origin from grassroot-level, Management play a key part in leading by example. 2) Can you really “teach” culture or can you only influence by letting employees actually experience the culture? 3) Some of the participants found financial drivers still to be important incentives for many Chinese employees, but “Nordic” values especially linked to work-life balance become more important. 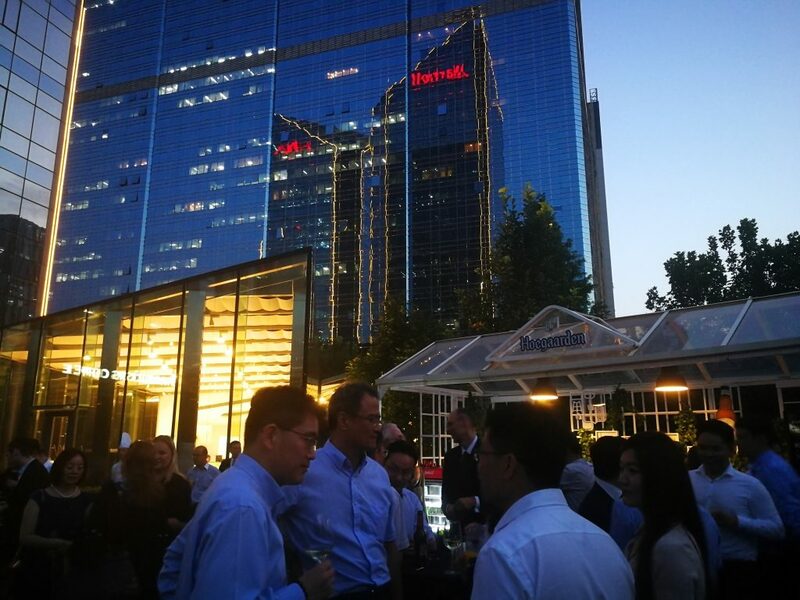 BJ: Yesterday we kick-started the fall with an All Chamber-Networking with 16 other Chambers and 300 professionals at Mariott Northeast in Beijing. 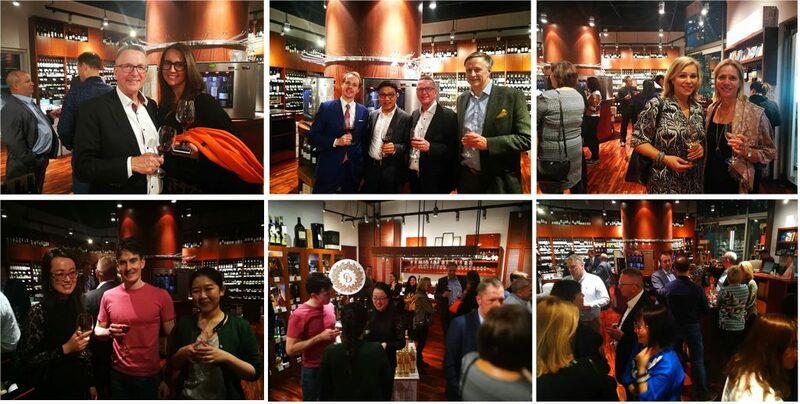 We were happy to see so many old and new friends gathered at one place after the summer break. 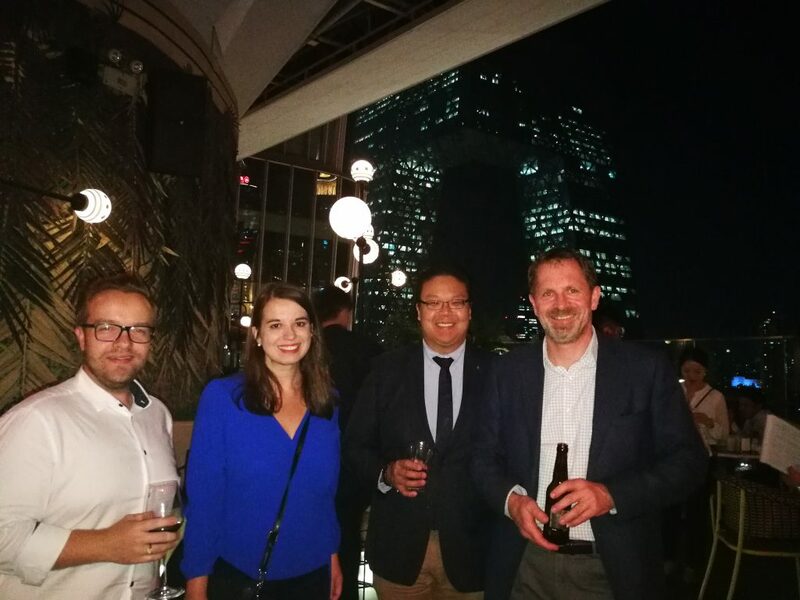 Next social gathering will take place already this Friday in Shanghai where we organise a Nordic Welcome Back After Work on August 29, and on September 21 in Beijing when we co-organize our monthly Swedish After Work with Ericsson. 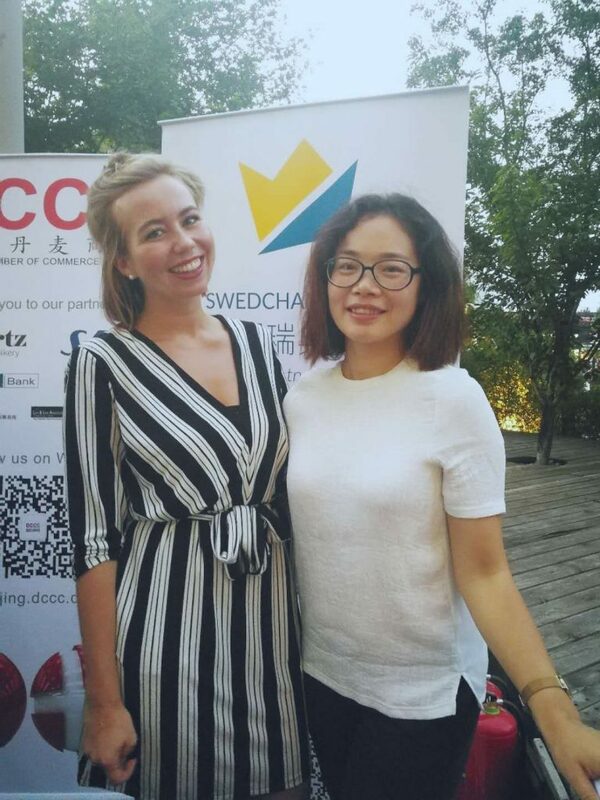 We arrange all of our Swedish After Works together with a member company, offering the company an opportunity to present their company or news from their industry, as well as a chance to gather the Sino-Swedish network for mingle and drinks in a relaxed setting. 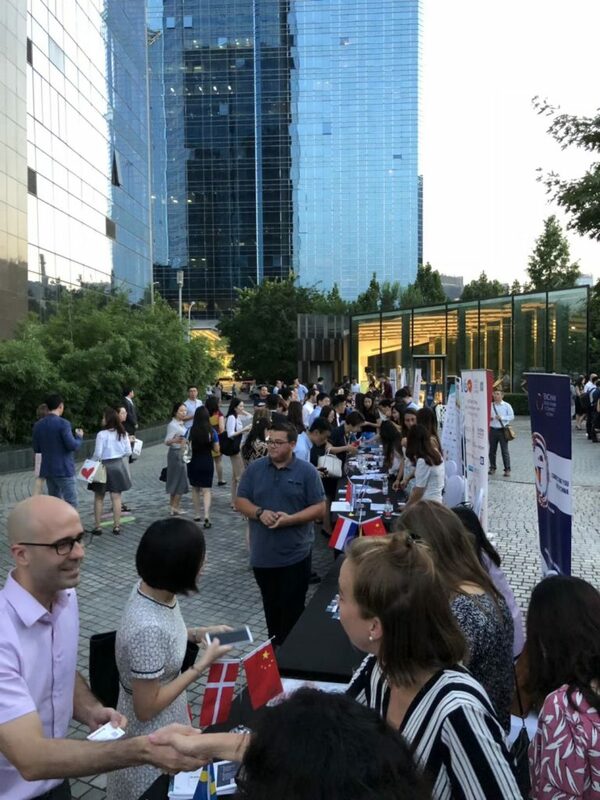 In Beijing we have our Swedish After Works on the third Friday of every month, and in Shanghai it is on the second Friday of every month. Hope to see you, your friends and colleagues at our next Swedish After Work.